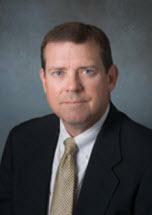 John Burleson joined the firm in March, 1981. John received his Bachelor of Business Administration degree from Baylor University in 1979 and his Juris Doctor degree from Baylor University School of Law in 1981. His primary areas of practice include Business and Commercial Matters, Real Estate Law, Mergers, Acquisitions and Divestitures.